I often talk about how I have attracted amazing women into my life over the last few years and how important community is if we want to grow an thrive. What I haven’t talked about is some of the exceptional men I have met, and there have been many! In this Fall edition of the magazine I would like to introduce you to a few of them. There backgrounds are just as varied as my reason for including them. I first heard the name Tom Antion more than a decade ago when I was working on my presentation skills and wanted to become a better speaker. I went on line to research the topic and a course that Tom created showed up in the search. I purchased his program, applied lessons learned, and yes, it did help me to become a better speaker! What fun it was to meet him all these years later. 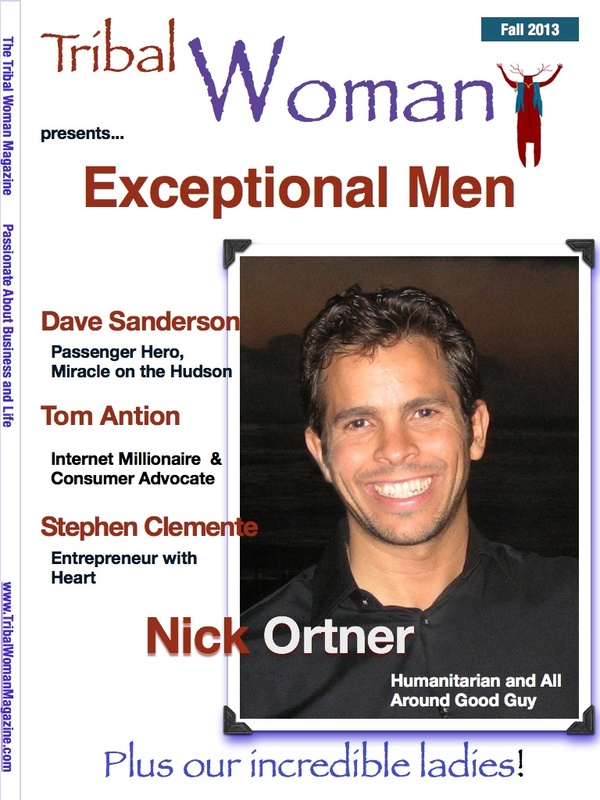 I became familiar with Nick Ortner when I participated in the Tapping Word Summit. It is through his work that I was introduced to Dr Lori Leyden who was featured in our September 2012 edition. Nick and she are part of an amazing project here in Connecticut that proves good can come out of horrific tragedy. I admire their work so much it landed Nick on our cover this month. As you peruse our pages you will also meet Dave Sanderson. I was privileged to share a stage with him last February at Eli Davidson’s BRAVA event. Dave is simply one of the kindest men I have met. He is also known as the passenger hero from the Miracle on the Hudson, his story is inspirational and I am honored to know him. Also featured in our men’s section is Stephan Clemente, a local business man in Mystic Connecticut who’s story delighted me so much I has to include him in this issue!